Finding a great gift isn’t always easy – but it can feel downright impossible if you’re shopping for someone who has it all. And we all know at least one guy like that. Whether he’s your son, dad, brother, boss, friend or someone else, certain guys always seem to have the latest and greatest gear and gadgets. Fortunately, finding the best gift for a man who has everything requires more thinking power than purchasing power. You don’t need a big budget to find a great gift, which is good because in many cases the “man who has everything” can often buy whatever he wants. Instead, you can find a fun, unique gift that will catch the recipient off-guard. He’s never even heard of this particular gift – and now he has it! That’s how you deliver a winning gift for a guy who is hard to shop for. A man can have everything and still not have enough snacks. This big pack of snacks has everything a man loves to chow down on. 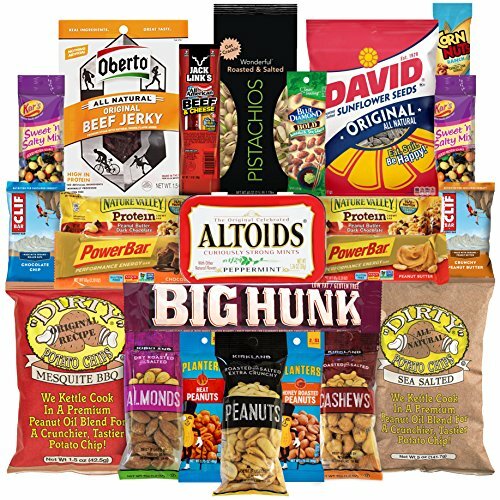 Includes 23 different snack time favorites like nuts, beef jerky, potato chips, candy and much more. All items are from major brands, too, including Planters, Clif Bars and Jack Link’s. Perfect for the office, dorm room, man cave or garage. The extensive variety prevents snack fatigue. Arrives in a fun box with the Hangry Kit label. Not many people, even a man who has everything, have heard of an Airzooka. But this “fun gun” is actually great for anyone who loves wacky toys. 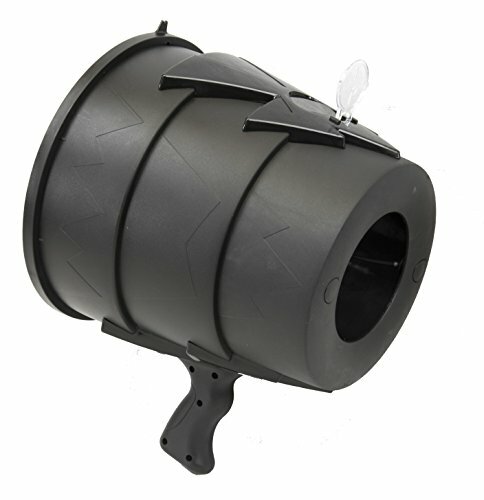 The AirZooka uses a blast of air to blow a ball up to 50 feet. Don’t worry — despite the name, the AirZooka is completely safe and harmless. Kids as young as six can safely use it. But plenty of grown-up guys love it, too. Perfect for blowing papers off a desk or generally just goofing around with friends. Requires no batteries and even includes a pop-up sight for better accuracy. 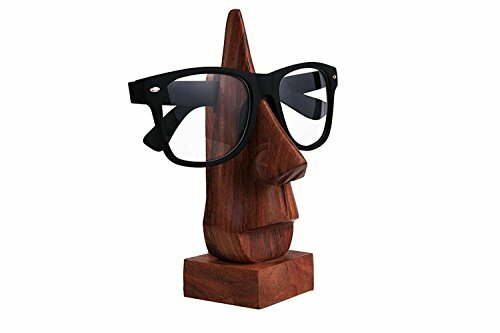 Silly but also practical, this six-inch wooden head is built to hold eyeglasses. Made by hand from gifted Indian artisans, this unique, antique-style design looks good on a desk or mantle. Holds basically any type of eyewear including glasses, sunglasses and goggles. The stems of the eyewear can be secured behind the statue to keep them in place. Every man who wears glasses inevitably loses them from time to time – and this gift is the perfect solution. Let’s face it. Most guys who have everything are pretty much big kids at heart. And kids of all ages love this fun indoor ring toss game. Easy, casual indoor fun. The game is similar to darts but without the risk of putting holes in the wall. 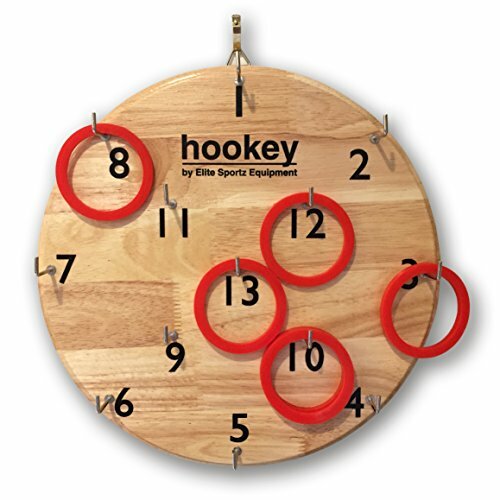 This finished wooden board can be mounted on the wall, and then players take turn throwing the rubber rings. Points are earned by hooking the rings into various zones. Includes six red and six black 20mm thick rings. The man who has everything can now see it all just a bit closer thanks to this sophisticated set of three magnifying glasses. Includes 2.5X, 5X and 16X high magnification lenses. 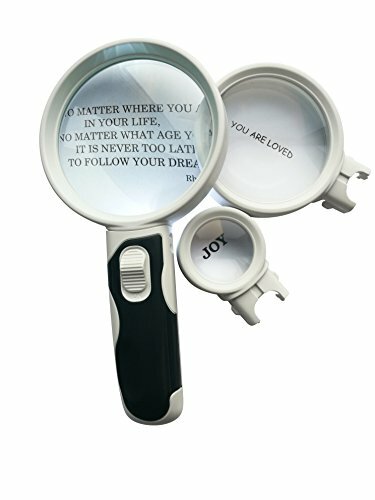 Each magnifying glass has a soft ergonomic handle and a light ring with on/off switch. Perfect for the man with a lot of hobbies. Magnification is great for reading maps, fixing watches, painting miniature figures and even building a ship in a bottle. Versatile tools that many hobbyists find very useful but rarely think to buy for themselves. Perfect for the man who has everything, including a great sense of humor. This motion sensor detects body heat to light up the toilet with multi-colored lights. Works only in a dark room. 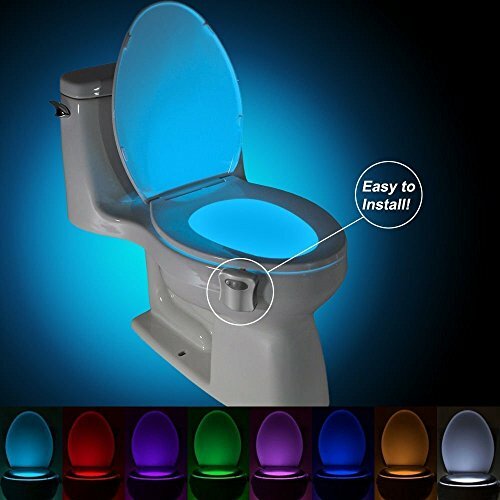 The colored lights illuminate the rim and back of the open toilet, with the sensor resting on the side of the bowl. All components use ABS plastic to protect against water damage. Although laughs are sure to be had, this LED light also has some real benefits. Avoid fumbling around at night for a light switch in the bathroom. Also helps conserve energy. Made in a glass-working studio in Wisconsin, each of these Original Shot Glass sculptures is 100% unique because they’re handcrafted by a father and son team. Every glass is made with a real lead-free .308 bullet. 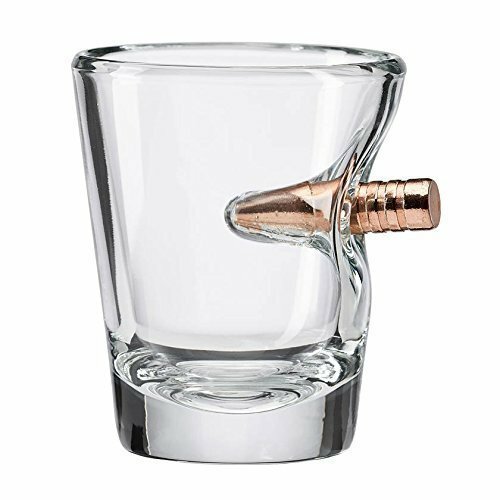 Using a special heat process, the bullet is melted and permanently set inside a 1.75-ounce heavy glass shot glass. No gunpowder or lead are used. The shot glass is completely safe to drink from. For best results, hand wash only. A fun and unique gift for any bar or liquor cabinet. The man who has everything isn’t usually the type of guy afraid of some humorous confrontation. Consider these Bad Parking Business Cards. They look like a parking ticket, but they contain one of 10 different jokes about how badly the car is parked. Set contains 50 cards total printed on thick paper. Place these cards under the windshield just like a real parking ticket. These outlandish parking tickets are probably best used among friends, but can also be used to send a more serious message to bad parkers. 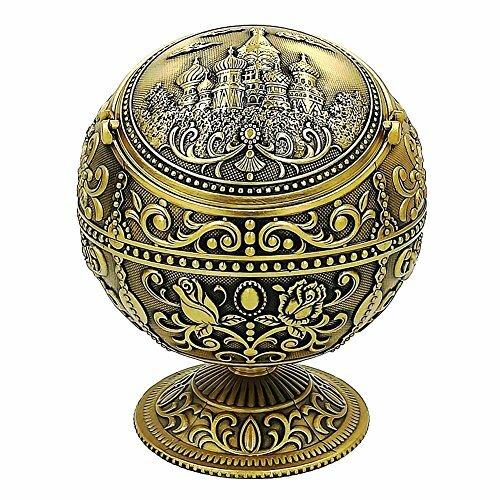 Whether the man who has everything smokes cigarettes, cigars or nothing at all, he’s sure to love this ornate dome-shaped ashtray. Designed with a Castle Bronze motif, this ashtray has hand-stamped designs and is made from durable Premium Zinc Alloy. The ashtray has a stately, almost regal design which looks great on an outdoor patio or indoor humidor. Aside from aesthetics, also functions great as a working ashtray. The pushdown ashtray stores ash and smoke with ease. Back in the 17th century, weather forecasters used a device called a Storm Glass. This sealed, teardrop-shaped glass was used to predict the weather based on the motion of the liquid inside. However, as you might expect, it’s not a reliable barometer at all. But it looks really cool and is a great conversation piece. 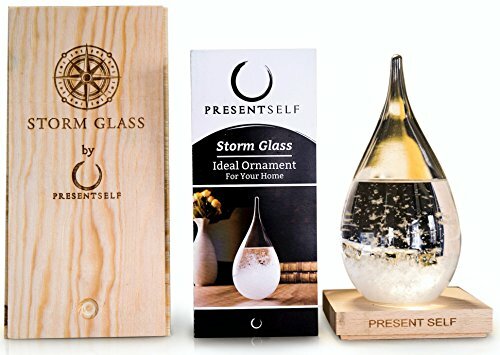 This Storm Glass from Present Self works exactly the same as the ones from long ago. Plus, includes a detailed brochure explained the history of the Storm Glass. A perfect display piece for a coffee table or mantle. Do you know a man who has everything including a thirst for adventure? 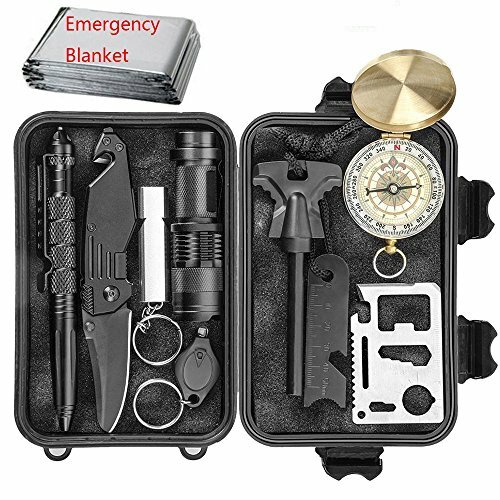 This outdoor gear kit from CHANGKU contains 11 survival tools including flint, stone, lights, compass and more. Perfect for hikers, climbers and other outdoor adventurers. The total kit is about seven inches by four. However, individual components are much smaller. Even includes a credit card sized “Swiss Army Card” with wrenches, a bottle opener and other useful tools. The gift recipient might individually own all of these small items, but chances are they don’t have them all in one super pen. 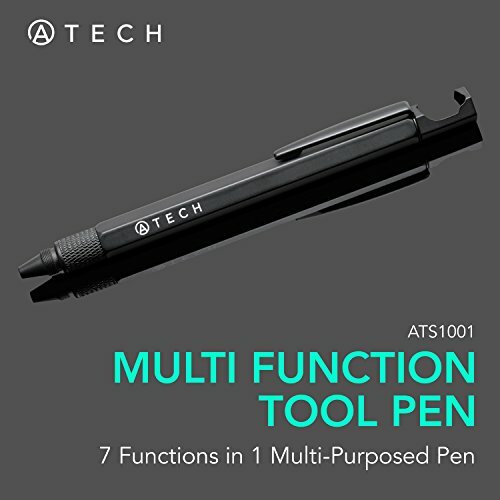 This tech tool pen from ATECH includes seven handy tools and gadgets including rulers, screwdrivers, a bottle opener and more. Oh, and it writes, too! Black, modern and stylish, this pen hides its tools well. Plus, it’s completely TSA compliant so you can take it on the airplane without a problem. Useful and unique. Everybody knows at least one man who seemingly has everything. He’s the guy who always has the latest gadgets, products and cool toys. By the time you’ve learned about the product, he’s already tired of it. Shopping for a guy in general can be difficult. Shopping for a guy who has tons of materials items can feel downright impossible. But it doesn’t have to be. Here are some tips to finding the perfect gift for a man who has everything. Who is this guy and how do you know him? If you’re shopping for a close friend or relative, you have an advantage because you probably know the guy’s interests pretty well. For instance, if they’re a big Star Wars fan, you can scope out their house and try to identify what toys and memorabilia they don’t have. In other cases, you might not be particularly close to the man who has everything. He could be a boss, father-in-law or someone else you don’t often hang out with socially. In this case, you could try to enlist the help of someone who knows you both, such as other employees or family members. Keep in mind that your boss, father-in-law, etc. probably already understands they have a lot more financial resources than you do. Don’t try to spend beyond your means in order to impress. Instead, focus on personalizing the gift as much as you can. If the recipient of the gifts understands that you spent time finding something special they’d enjoy, they’ll be far more impressed with your thoughtfulness than the amount of money you spent. The man who has everything typically has all the major stuff covered. That’s to say, he probably already likes the car he drives, the golf clubs he uses, the camping equipment he has and so on. So instead of focusing on these major items, instead try to identify useful accessories related to the person’s major interests. If they’re an avid golfer, consider finding a fun accessory for their golf bags like an electronic scorekeeper or cocktail mixer. If he’s a car enthusiast, buy him a pair of high-end floor mats or a gift card for a wash and detailing. Find the hobbies he’s most passionate about and focus on what related gifts he might enjoy. While this doesn’t necessarily apply when shopping for the boss, don’t be afraid to have some fun with your gift selections. Guys who own a lot of gadgets and gear definitely understand the appeal of seemingly frivolous novelty gifts. For example, nobody particularly needs colored LED lights for their toilet or an ancient, ineffective weather forecasting machine. But plenty of guys want to own those items just the same. Sometimes when shopping for a man who has everything, practicality can be thrown out the window. Also, consider games, especially ones which can have two players or more. After all, what’s the point of having cool stuff if your friends can’t share in the fun? Games like Ring Toss and the Bad Parking Tickets are all the better with buddies. Don’t be intimidated when shopping for the man who has everything. After all, he already knows he has a lot of stuff. So most likely he’ll be understanding when it comes to receiving gifts. Don’t worry about spending big bucks or finding ultra-rare collectibles. The best gift for the man who has everything isn’t a physical item. Instead, it’s the display of thoughtfulness on your part. Use our guide above to find a specific gift which you know will surprise and delight the man in your life who has everything.